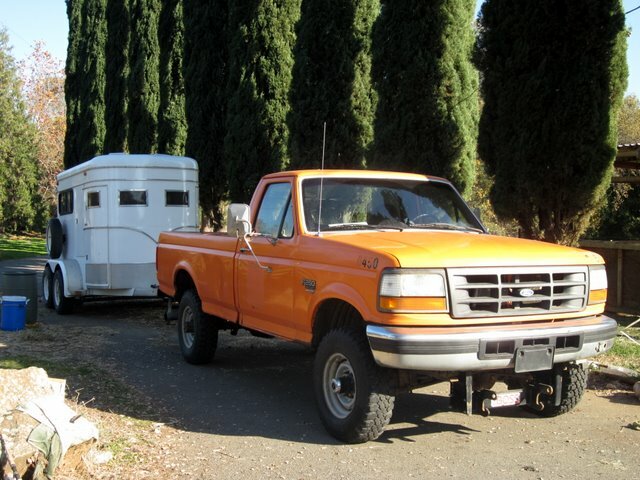 That’s right I will now be rolling in a ’97 F250 super diesel, in attractive Caltrans orange. 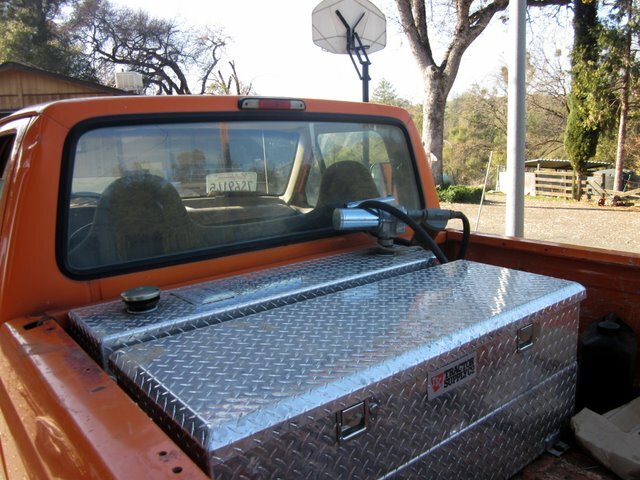 It was in fact a Caltrans truck and has been coddled along through life and given multiple upgrades. It’s technically a 3/4 ton but has 1 ton shocks and gear. Oh, and it came with a snow plow. Anyone want to buy a lovely snow plow? We got a great deal on it and it is a work horse, and that is what matters. There is a paint job in it’s future, to be sure. I’m thinking a deep blue..
P.s. It has a fuel tank and tool box in the back..bonus! oh, it's orange, that is so awesome! I love it! I have a 2002 F250 in boring white, I've talked about adding an orange racing stripe. Growing up we had a green retired forest-service truck, this brings back memories of that thing (which was repainted horrid yellow, called it the banana slug, so embarrassed me in high school). Have fun with your new truck! I was trying to get my husband to buy into the idea of painting the horse trailer bright orange to match. Imagine pulling into rides with THAT combo. LOL LOL LOL. The image really tickles me but eventually it will have a more mellow paint job. I might have to test it out and haul my mare to the lake tomorrow!